One major worry for homeowners with basements is water seepage. 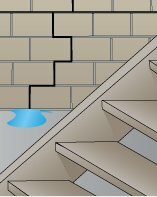 Even if you do not have a basement, water can seep through cracks in your foundation, walls, or floors. That is why you should keep your home well protected from moisture problems and invest in the proper water seepage repair solutions for your South Dakota home as soon as you notice a problem. 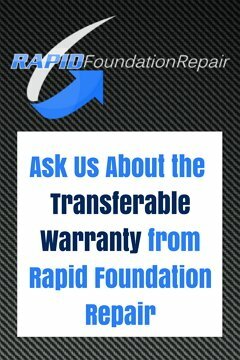 Rapid Foundation Repair provides both foundation repair and basement waterproofing to protect your home from water seepage. One common cause of water seepage in your home is a sinking or settling foundation. Because many foundations start to settle unevenly, there may be more pressure on certain portions of the foundation. These portions might suffer from foundation cracks. 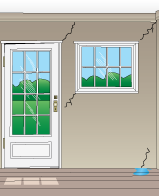 The cracks allow water to seep into the home and basement. Another way water can seep into your basement is through the concrete itself. The concrete that makes up your foundation is a porous material, meaning that water can soak through if given enough time. If water starts pooling around your foundation, it may start to seep through the concrete. This is especially common in homes that are not graded properly and have low spots in the yard near the foundation. If you notice dampness of high humidity in your basement or home, you may have a water seepage problem. You might also see mold or mildew growth or water stains in your home. Check for these signs of a water problem and contact the professionals at Rapid Foundation Repair for a water seepage repair South Dakota solution. Underpinning: This method involves the use of durable steel piers or helical piers from ECP (Earth Contact Products). The piers support the foundation from underneath to reverses settlement and close cracks that may be contributing to water seepage. Wall Anchors/Tiebacks: These are solutions that fix bowing and leaning walls in your home’s basement. The anchors or tiebacks are installed underground adjacent to the foundation to pull the walls straight and fix cracks, eliminating the entry point for water. Surface Drainage: Surface drainage techniques, like extending downspouts, cleaning out gutters, and ensuring there is proper grading around the home can prevent water from pooling around the foundation and seeping through the concrete into your home. Exterior Drainage: This is a waterproofing method that uses pipes and waterproof membranes to reduce groundwater around your home, cutting down chances that water will seep through foundation cracks. 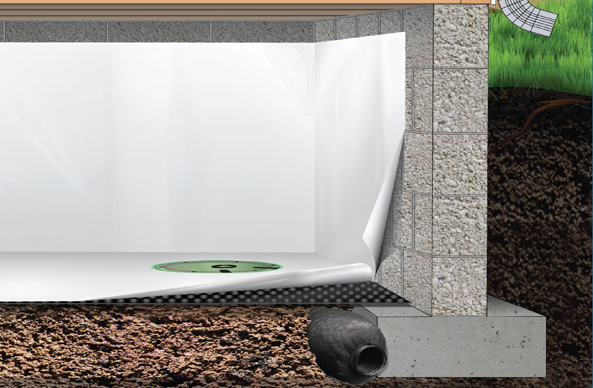 Crawlspace Encapsulation: if there is a water seepage problem in your crawlspace, we offer encapsulation with crawlspace vapor barriers to keep water sealed out of your crawlspace and home. These are some of the water seepage repair solutions that we offer for your South Dakota home. We can help you get rid of seepage and protect your home from a moisture problem. Contact us now to learn more about water seepage repair South Dakota for your home and basement.